I’m helping a client redesign her cute new house in Chorlton and having laid out the plans, have redesigned the kitchen & bathroom for her to get cracking with her builders. Clients often now create a Pinterest moodboard filled with things they’ve spotted which inspire them, dreamy interiors and must-have products and it’s a great tool for designer/builders to get inside a client’s head. There were lots of William Morris prints on her Pinterest board and a few clicks on my Mac led me to a lovely blog post by lighting and now wallpaper designer Hannah Nunn, who’s lighting I’ve recommended to clients before and who was also at the recent Independent Interiors Show. 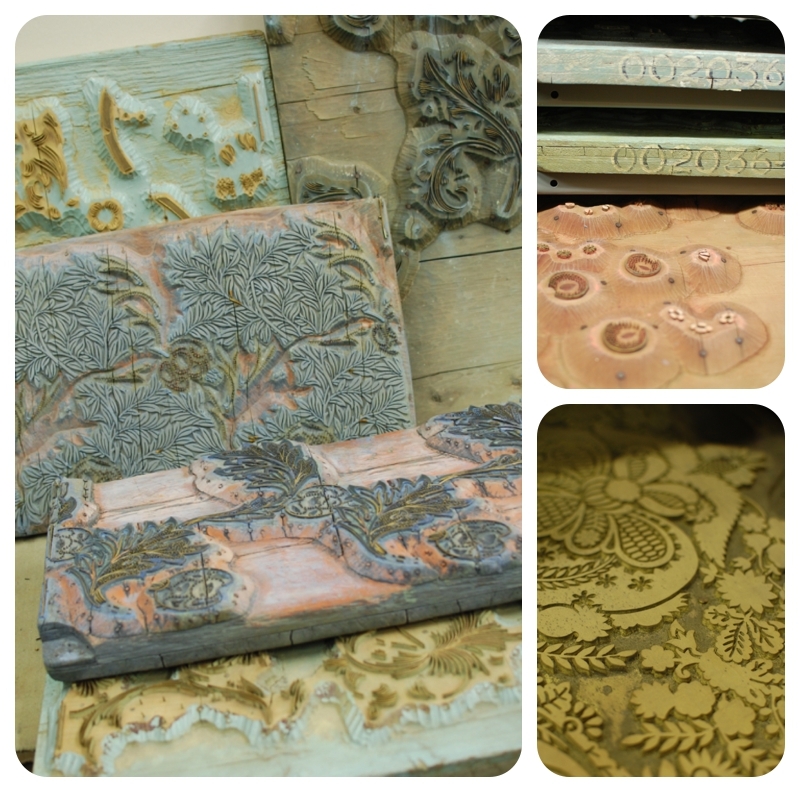 Hannah had visited the Anstey wallpaper production factory in Loughborough during the process of creating her own wallpaper range and was lucky enough to see the beautiful original William Morris woodblocks, hand carved and stained with ink, a historical reference to past craftsmanship. I loved this images she took, a couple of which are below but do take a look on her blog here. My feelings are that original William Morris papers might actually be a little heavy for my client’s new home and I’ll be showing her Hannah’s work, particularly the charcoal Paper Meadow. Might well be the subject of a future blog post eh!